Zojoji Temple is the head temple of Jodo sect of Japanese Buddhism in the Kanto region, located in Minato ward of Tokyo. 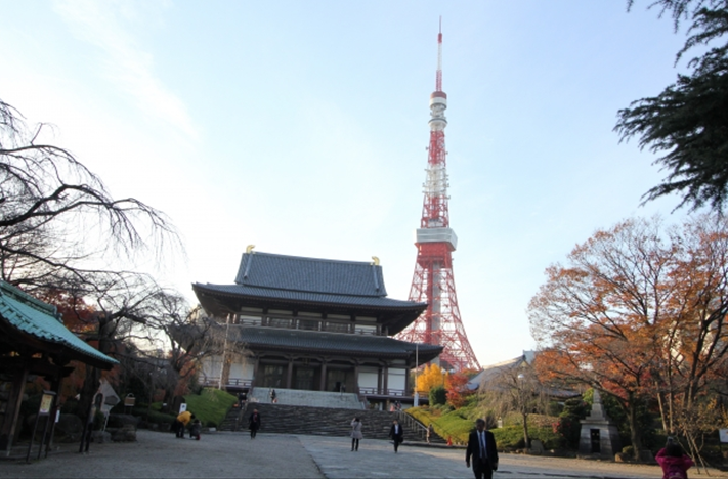 The temple is next to Tokyo’s famous spot “Tokyo Tower” and “Shiba Park“. The temple was founded as the eastern Japan seminary in 1393, was designated as imperial prayer site in 1470. It was relocated to the present site in 1598 after Ieyasu Tokugawa (founder of the Tokugawa shogunate) entered Edo which is current Tokyo to establish his government. Ieyasu Tokugawa selected the temple as his family temple. Zojoji Temple was once a massive complex containing 48 smaller attached temples, about 150 grammer schools and 3,000 priests in the past. 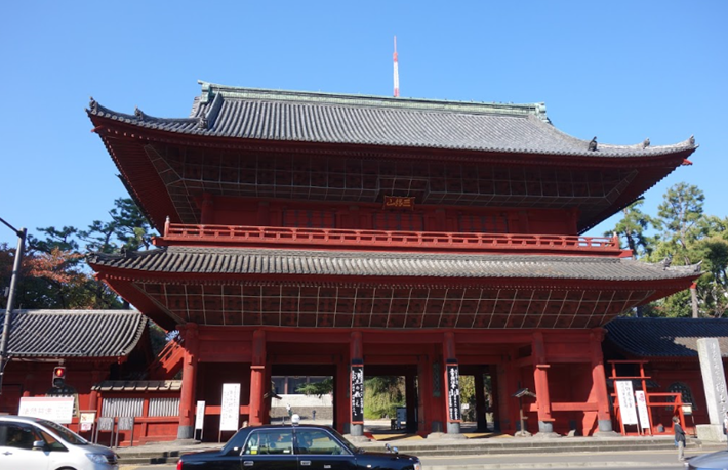 Most of buildings in Zojoji were reconstructed except for main entrance “Sangedatsumon” that has experience of many disasters, wars and fires. The wooden gate with height of 21 meters has been designated by the state as important cultural property. 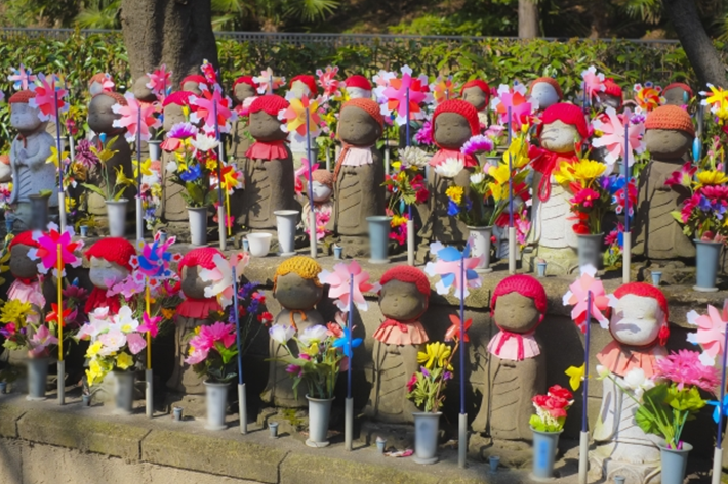 Currently Zojoji contains not only temple but also small museum and mausoleum of the Tokugawa family which is located back area of Zojoji temple, and the tombs of six of the Tokugawa shogun. The museum in Zojoji temple offers information of previous situation of the Tokugawa Mausoleum that include buildings before it got serious damage during War. It also offers a video about mausoleum’s construction and 1:10 scale model of buildings in the past. Onarimon station on Toei Mita line: Less than 5 minutes by walk. Shibakoen station on Toei Mita line: Less than 5 minutes by walk. Daimon station on Toei Oedo line: Less than 10 minutes by walk. Hamamatsucho station on JR Yamanote and JR Keihin Tohoku line: Less than 10 minutes by walk.